This week long experience has been nothing but positive. Having no experience what so ever in the tinting trade; I was obviously somewhat apprehensive prior to the first class. After this week I can whole heartedly recommend this course to anyone. Feel free to contact me directly anytime. 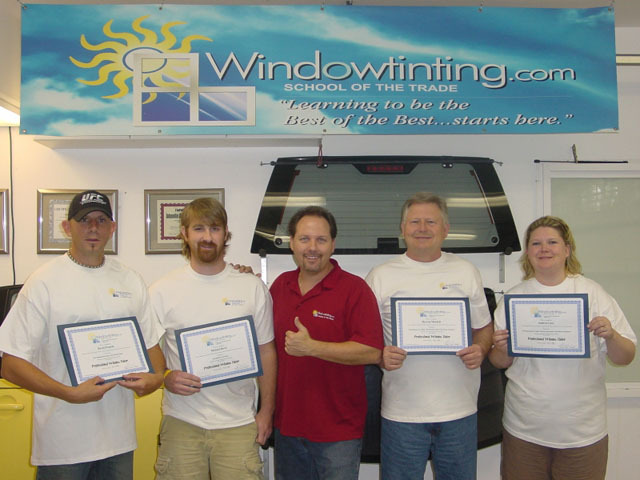 This school covered many if not all of the bad habits I was using tinting windows. It also gave me a better understanding of how the tint works and gave me many tools and options on applying film. The course was very informative, nice atmosphere, and good sandwiches! Robert made sure getting signed up, travel arrangements and shuttling were all taken care of. He really cares for his students. He makes it clear that he's there for us, even when class was over at the end of the day.